Nada Frazier is a non-denominational minister and has served as Spiritual Leader at Unity of Jacksonville Beach since 2015. 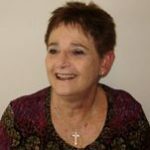 She is a sacred servant, inspirational speaker, writer, award winning photographer, reiki master teacher, and volunteer for Community Hospice and Palliative Care of Northeast Florida, serving as an Ambassador, PedsCare volunteer, and Spiritual Care volunteer. Much of Nada’s spiritual studies and sacred service center around the soul’s spiritual journey. Nada honors the teachings of the Lakota community. Nada is founder of The Sacred Servant where she serves as a Certified End of Life Doula, guide, trainer, mentor and community educator. Nada serves on the Board of Directors of The National End-of-Life Doula Alliance and facilitates The Death Cafe of Northeast Florida which meets the first Wednesday of every month. Nada has served as an inspirational guest speaker and behind the scenes supporter at Unity of Jacksonville Beach since 2008 and also serves as a guest speaker/workshop leader at other Unity spiritual communities. Nada started and continues to facilitate the “Sundays 8 at 8” prayer circle where each Sunday, at 8 p.m., for 8 minutes, people from across the globe quietly step away from their usual activities to come together in conscious community and silent synchronized prayer and meditation. Nada is the Past-President of the Jacksonville, Florida branch of the National League of American Pen Women (NLAPW), and contributor to ‘Dear Creator, an Anthology of Hope & Prayer in Word, Image and Song’ by Lynn Rose Curtin. Nada is a trained mediator, former Co-Chair/member of the Corpus Christi, Texas Mayor’s Advisory Committee on Recycling and Waste reduction, and is a recipient of the Building Bridges and Unsung Heroine awards from Texas A&M-Corpus Christi Women’s Center. She also works as a freelance Florida Registered Paralegal. As Spiritual Leader, Nada will be available for appointments upon request and will lead Unity of Jacksonville Beach services typically the first two Sundays of each month. Various Unity, local and national spiritual speakers will be featured at UJB’s other Sunday services. Nada is grateful for time shared with her husband, Rick Wilkerson, and family. She enjoys hiking, spiritual studies, music, and nature photography. She can be reached at NadaUJB@gmail.com or by calling the Unity of Jacksonville Beach office at 904/246-1300. Rev. Dolores Vetter was a Licensed Unity Teacher as well as an Independent Unity Minister and an Interfaith Minister. She served Unity ministries for over 30 years as a Speaker, Educational Director (for adults and youth), Director of Volunteer Services, Spiritual Counselor, and Teacher. Rev. 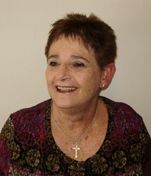 Dolores founded two Unity Churches in New Jersey and Unity of Jacksonville Beach in Florida. She resided in Jacksonville, Florida, with her husband, Paul. Her passion was in assisting others to experience their Divine Essence and to live wholesome and abundant lives. As a spiritual coach and teacher, she encouraged individuals to remember that the purpose for living is to love, to live peacefully, and to experience a life of abundance.